If you have a mutt, studying the dog tail can help you determine what breeds make up your pup. Even though everyone says “Oh, they’re just a mutt.” you know you have the best dog in the world. 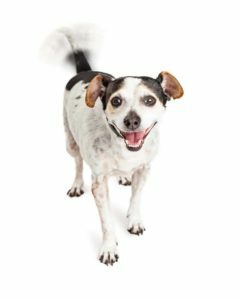 But let’s face it; you are a tad curious about just what breeds co-mingled, to come up with your unique canine companion. A good place to start is at the end … the tail end. Most experienced dog owners know their dog’s tail tell you a lot about the dog’s mood. Most, but not all dogs have tails. Some breeds such as Australian Shepherds and Pembroke Welsh Corgis are born with nubby, little flaps of fatty tissue, where the dog tail should be happily waving. Most experienced dog owners know the dog tail tells you a lot about the dog’s mood. Tails held high are usually a sign of an aware, alert dog. Tails tucked low and between their legs, usually indicates a frightened, nervous dog. Bristled tails are normally a sign a dog is on the defense. 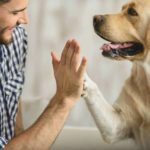 Some behaviorists even believe how a dog wags their tail from left to right or vice-verse indicates their familiarity to who they are meeting or greeting. Left to right, means a stranger. Right to left, means they recognize you. The setting, shape, and size of the dog tail are markers of your mutt’s rather intriguing gene pool. Combinations make it even more fascinating. One position is known as a high set, where the tail appears to be a natural extension of the dog’s back or topline. The other is low set, where the tail appears to begin below the top line. Terriers, Beagles or Foxhounds, like many dogs that hunt in packs, have a high set tail. Sighthounds, such as Greyhounds, Whippets, and Afghan Hounds have low set tails, which start lower than the top line. Is your dog’s tail low set, whip-shaped with a slight curve? They could be Whippet, Wolfhound or Ibizan Hound. A high set tail, sort of a natural extension of your mutt’s body, could be a hint to a scent hound ancestry. Perhaps your dog has a touch of Beagle, Fox Hound or even Airedale. The length and shape of the dog tail can give you a hint of their ancestry. Tails come long, medium, short and bobbed. They are categorized as straight, screw/curled, gay, saber, taper, whip, plum, otter, brush, sickle, snap, carrot, and tuft. Curled tail — Northern cold weather breeds such as the Akita, Siberian Husky, Alaskan Malamute, Spitz, Shiba Inu, Keeshond, American Eskimo Dog, Swedish and Finish Lapphunds, and Chow-Chow to name a few, have tails that normally are brushed, sickle-shaped and curl forward. 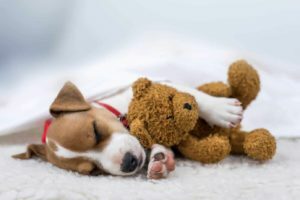 The tail helps keep the dog’s face — especially the nose — warm as the dog curls up into a big C, to retain as much body heat as possible when sleeping. Oddly enough, Chihuahuas also have a sickle-shaped tail. Swimmer tail — Otter tails work like rudders for water dogs such as Labrador Retrievers and Chesapeake Bay Retrievers and other Sport class dogs. Their tails are as a rule thick, medium to short in relation to body size, heavily furred and taper to a blunt tip. This style of tail is very helpful for these swimmers. Carrot tail — Does your mutt have a carrot tail? That would be identified as fairly short, thicker at the base and tapering to a stumpy tip? If so, odds are that tail was designed to be grabbed by a farmer, to pull the dog out of vermin holes. If your dog’s tail is carrot-shaped, chances are somewhere in their gene pool is a West Highland Terrier or two. Tufted tail — If your mutt has a tufted tail, there is a likelihood it’s got some Poodle in it! Poodle tails are set high on their back, straight and well furred… with a tuft on the end! Snap tail — Also known as a tightly curled tail are also common with Northern breeds and colder climates. You’ll find mutts with Alaskan Malamute, American Eskimo Dog and even little Pomeranian ancestors commonly share this shaped tail. Swordtail — The regal tail is generally associated with Great Danes, Greater Swiss Mountain Dogs, American Staffordshire Terriers and many types of Pointers. Bobtail — A little nub of fatty tissue rather than a full tail is naturally found on Old English Sheepdogs, Pembroke Welsh Corgis, and some Australian Shepherds. Gay tail — Is held horizontally, thick, with a slight curve and has a small, usually white tuft at the tip. It is found on Beagles, Cavalier King Charles Spaniels, Border Collies, and Wire Fox Terriers. Saber tail — Certain herding breeds, such as German Shepherds, Collies, Belgian Malinois, Belgian Tervurens carry obvious saber-shaped tails. They are long and held low. 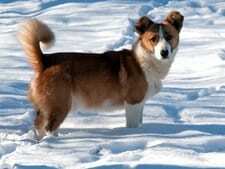 Those impish Cardigan Welsh Corgis also wear their tails low. Tapered tail — Your mutt may carry a gene or two of some kind of Terrier, such as Manchester, Border or Airedale if their tail is tapered. They are normally thicker at the base, set high on the back and are held straight up or out. Dachshunds also fit in this tail category, as well as Dalmatians and English Setters. Corkscrew tail — Bulldogs and Pugs have a corkscrew or curled tails. Plumed tail — Dogs with plumed tails could be examples of Belgian Tervuren, Saluki or even Borzoi. 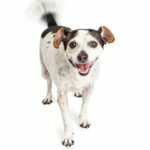 Bottom line: The dog tail — as a rule gives clues about a pup’s lineage. But let’s face it, does it really matter what the assortment of pedigree secrets are swimming around in your Heinz 57 gene pool? 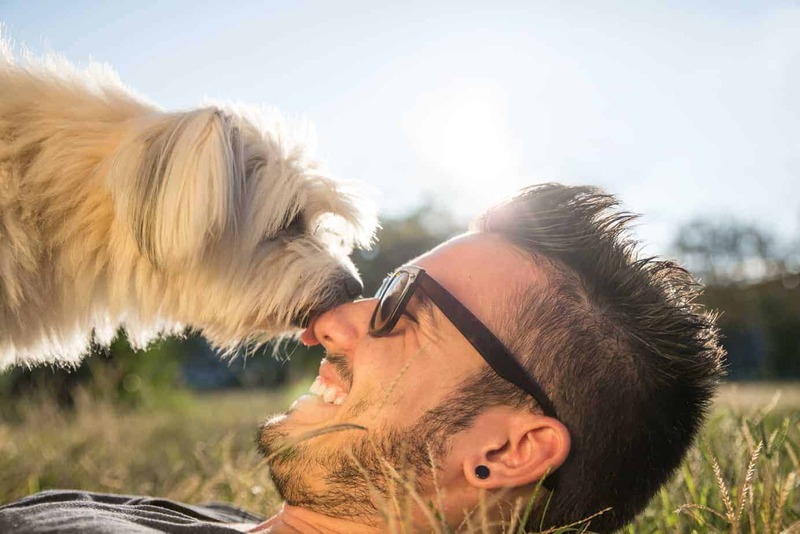 Your pup is and always will be the best dog in the world to you. But, you do have to admit, it could be challenging and fun to embark on the adventure to figure out where they came from!